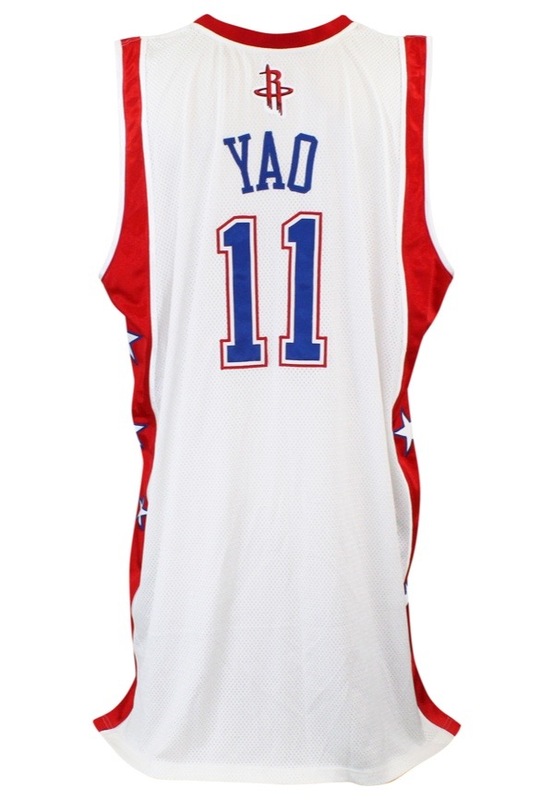 Yao Ming was inducted into the Basketball Hall of Fame in 2016. 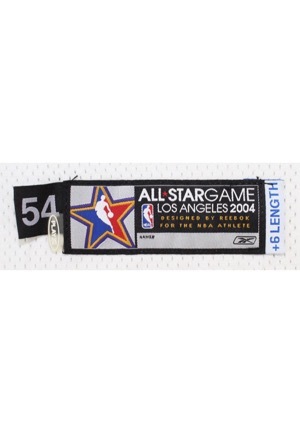 On the front left tail is the Reebok manufacturer’s tag that reads “ALL-STAR GAME LOS ANGELES 2004 DESIGNED BY REEBOK FOR THE NBA ATHLETE”. Attached are three flag tags reading “+6 LENGTH”, “PLAYDRY” and the size “54”. On the left inseam is a flag tag with jersey materials. On the upper left chest is the official “NBA” logo embroidered. 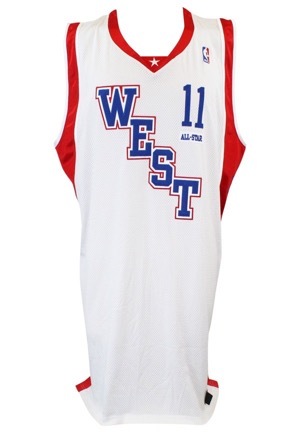 On the v-neck is a white “Star” logo embroidered. 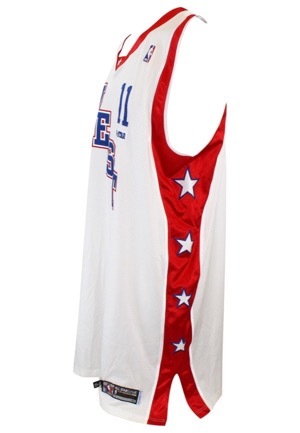 Diagonally down the chest reads “WEST in blue on white on red tackle twill. Adjacent to the right is the player number “11” done in blue tackle twill. 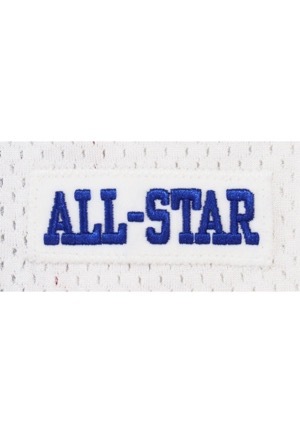 Below this is a white strip tag reading “ALL-STAR” embroidered in blue. 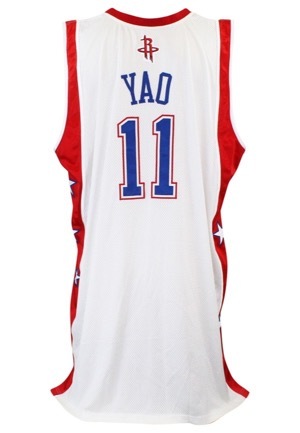 Across the back is the player name “YAO” in blue tackle twill. Below is the player number “11” done in blue on white on red tackle twill. 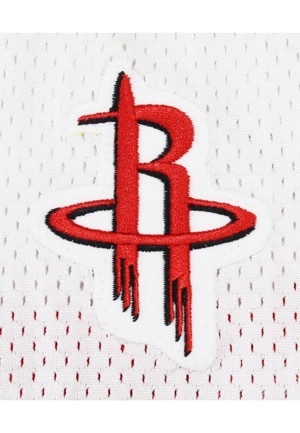 The Rockets team logo in on the back below the collar. This jersey is properly tagged, was presented to us as game-used and in our opinion shows appropriate use.